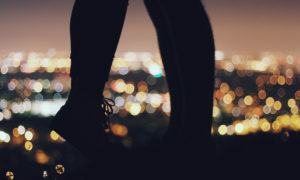 The Montford Inn is your home-away-from-home for your next romantic getaway, family reunion, work trip, or visit to the University of Oklahoma. 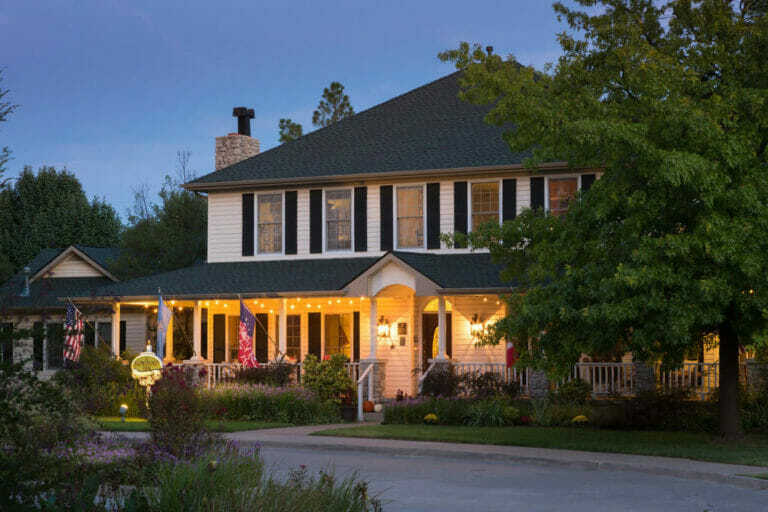 For the last 25 years, the Murray family has loved hosting guests in their bed and breakfast. From gourmet breakfasts with our renowned Tonhawa smoothies, to freshly baked cookies in the afternoon, the emphasis has always been on guest comfort. Our bed and breakfast in Norman was specifically built with convenience in mind. Each room is uniquely and tastefully decorated to reflect the stories of Oklahoma history, traditions, and culture. So curl up on a porch swing, enjoy a fireplace, or soak in the jetted tub as you enjoy your getaway to the fullest. We can’t wait to host you at our B&B getaway. 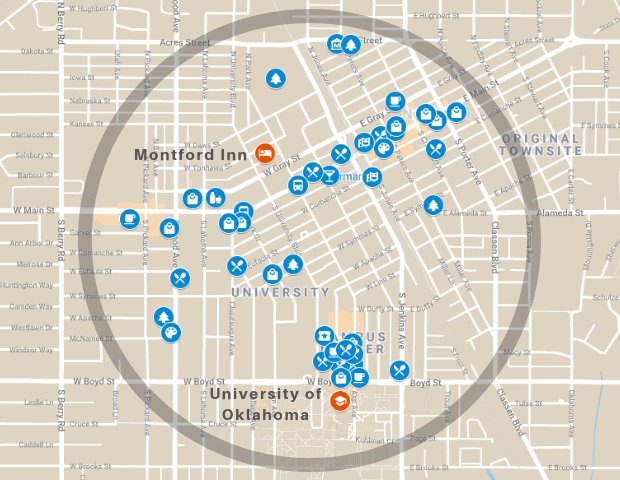 Located just a short walk away from the University of Oklahoma – about a mile – our Norman bed and breakfast really is located in the heart of it all. 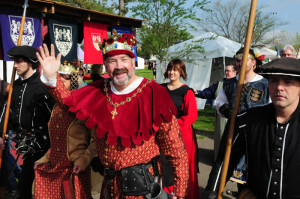 In addition to being within walking distance of OU Campus and all that it has to offer, guests can also enjoy a stroll to many restaurants, shopping, Campus Corner, the Historic District, art galleries, and world class museums like the Fred Jones Museum of Art and the Sam Noble Museum of Natural History. We’re within walking distance to so much here in Norman. At the Montford Inn you’ll be just 2.5 miles from I-35. And there’s great access to Oklahoma City at just 15 minutes to I-40, I-240, and I-44, and a short 20 minutes to OKC Bricktown, Myriad Gardens, Riversports White Water Rafting, and the best museums the OKC area has to offer. There’s so much to do and see while you’re here and our bed and breakfast is your perfect home base for it all. 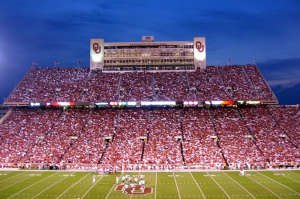 "If you’re in town for the University of Oklahoma, it’s a pleasant stroll to campus. 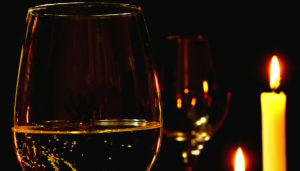 Honestly this is always my first choice in town as well as a place I look forward to returning." "Perfect place for an anniversary getaway in Oklahoma... The breakfast was also really really good especially when they deliver it straight to your door. Don't hesitate to book because there's simply nothing like it!" "This was so much nicer than staying in a chain hotel in the city." "Great place to go if you want a romantic day with your spouse. Downtown Norman is within walking distance. Me and my wife really enjoyed our stay and will be going back." A refreshing and cozy stay in the main house. Nothing says relaxation quite like a getaway in a cottage suite.